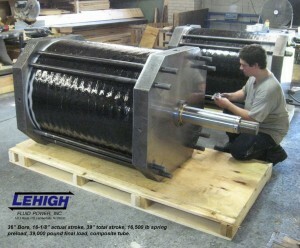 Applications for spring cylinders are virtually unlimited, many involving the important fail-safe function. In most cases, a mechanical spring is the only device that can be coupled to a cylinder to consistently deliver a specific design force to hold a desired position when input pressure is lost – and retain that force for as long as the integrity of the cylinder assembly is maintained. Examples of uses include process-valve operators, conveyor-shift positioners, damper controls, collating machines, steam-control devices, and others where safety requires that some process absolutely must stop if system power is lost. 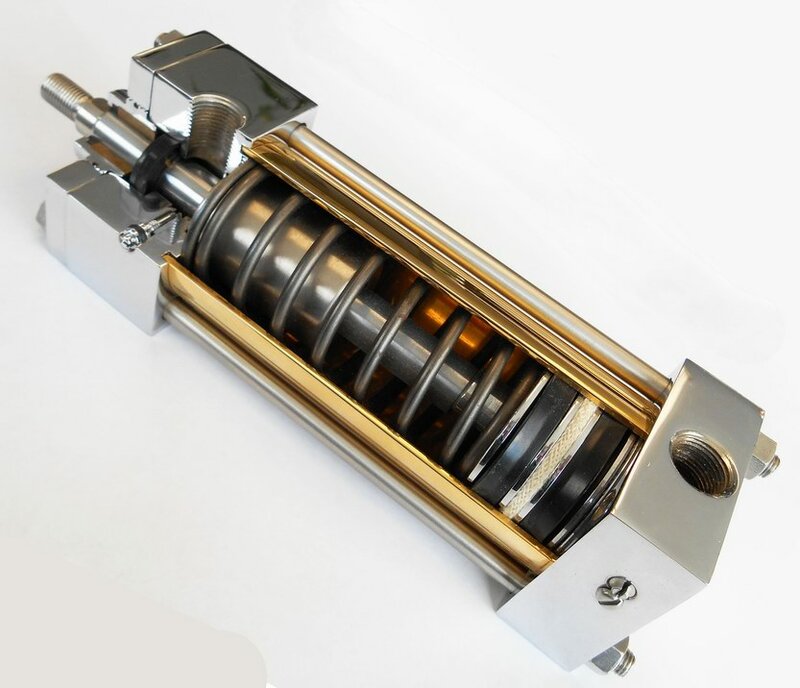 The spring cylinder is a product engineered for a specific application. Please note, however, that this design is essentially a modification of any of our standard product. Therefore, you can consider the basic designs of any of our pneumatic and hydraulic cylinder series for spring design in your application, from the 3/4″ diameter bore on up to our largest bore, including the valve actuation cylinder, and the all-stainless steel cylinder construction. Contact Lehigh sales and engineering for help in selecting the best product solution for your requirement.